Use this option to sort blocks by any register value. This option is convenient for sorting e.g. angle register values. 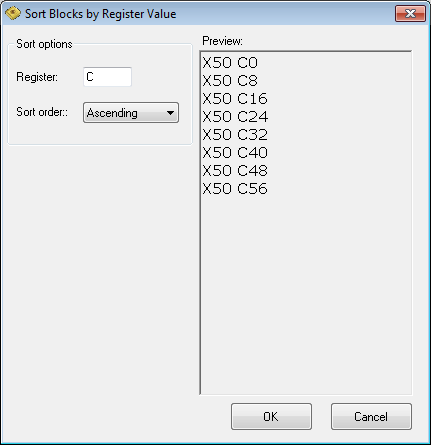 Select register letter and sort order (ascending or descending) and click OK to modify selected CNC code. Result can be previewed in preview area of dialog.